Do you want to turn your 5 Megapixel digital camera into a 15 Megapixel one? Or even 20 Megapixels? 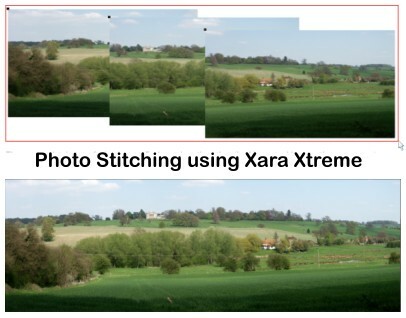 With the automatic photo stitching feature of Xara Xtreme, you can. The workshop / tutorial and tips in this edition are all about creating panoramas and huge ultra-high-res images. This weekend is a public holiday for those of us in the London office, and we always think that's a good reason for a great offer. No less than 20% off all our titles (upgrades excluded). But don't hesitate - the holiday only lasts until the end of Monday 25th August! We have our first contest result shown on the right - congratulations to Derek 'Masque' Cooper, a clear winner in the popular vote. There's two more great images in the shortlist for July's Olympic challenge, see below, these will be the only gold and silver medals that you can influence this August, so please cast your vote now. 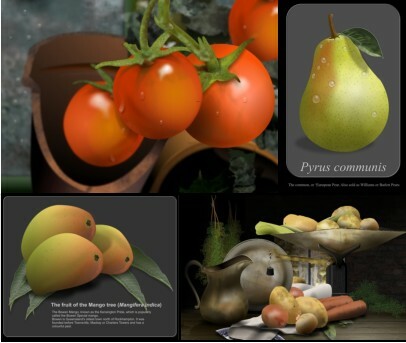 And the challenge theme for next month is Food - we've picked our inspirational art to help you, we hope you'll all give it a go. 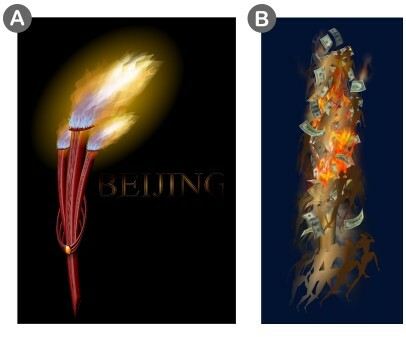 The July challenge was on the topical theme of the Olympic torch. We've shortlisted 2 entries, simply click the link below to vote for your favorite. We hope you are all inspired by our first winner and this month's shortlist to take your chances alongside your fellow Outsiders in this month's challenge. 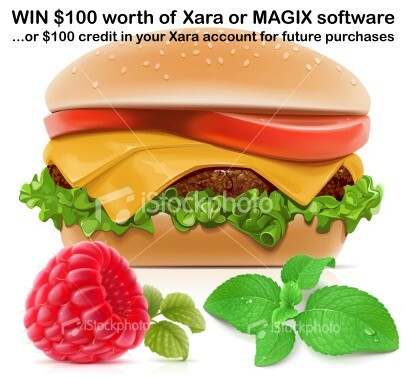 You could win $100 of Xara or Magix software or a credit to your Xara account, and Outsider Glory! This month's theme is Food: Maybe our Inspirational Art will jog your imagination, or follow this link to a selection of great iStockphoto drawings for further ideas. iStockphoto Ideas. All Armchair Artists, open your copy of Xtreme now! 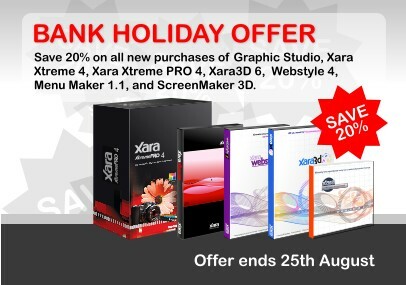 A quick final reminder to all Xara Xtreme owners - our discount offer on upgrades to Xara Xtreme Pro (25% off!) ends on Monday 25th August. Upgrade Now. Xara Xtreme is a winner again! PC Pro Recommended. Verdict: “A raft of new features combine with Xara's unbeatable speed and a bargain price - it's an irresistible mix”. Read the full review. 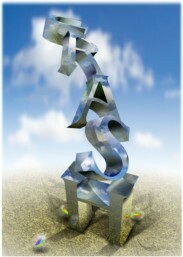 The winner of the the June contest was Crash (option B) with over a third of the votes! Congratulations to Derek Cooper (aka Masque on TalkGraphics). When stitching Photos it uses the original unenhanced version of the photos. So there is no point in enhancing before you stitch a panorama together - do it afterwards using the final stitched image (the Panorama tool automatically adjusts the brightness / exposure of all the images in the final image to get an even result). Similarly any image cropping is ignored for images being sent to the Panorama stitcher, since it requires identically sized original images. When taking photos which you plan to stitch together to make a panorama, try and set the horizon as close to horizontal possible, and with the same horizon on each image. Idealy overlap each image by about 20% to 30%. The resulting image from the Panorama is a raw uncompressed bitmap and will take a lot of file space unless it's compressed to be a JPG. With release 4 of Xtreme you can now optimize the image in-place to convert from a raw bitmap into an embedded JPEG image. Just select the Utilities -> Optimize photo option. What photo management software do you use?